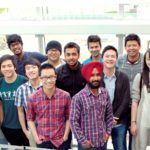 Want to study in Canada? Canada is considered the number one country in education. Find out if you eligible below. In order to study in Canada, you must have already been accepted by a college or university in Canada. This must be completed to achieve a study permit. We have over 300 partnerships with colleges and universities across of North America to help our clients find the right school and program. Once the invitation from a designated learning institution is received, you must prove that you have enough money to pay for your time in Canada during your studies. This includes your tuition fees, living expenses for yourself and any family who will travel with you to Canada – including the cost of the travel. The process also requires that you are a law-abiding citizen with no criminal record, sometimes including a police certificate proving so. While you are studying in Canada you are able to travel back home to visit family, and even also eligible to work during your studies and after you graduate. You can work on-campus or off-campus, even without an additional work permit – if you meet the criteria. Canada By Choice Immigration has helped hundreds of international students study in Canada, you can be next!